When will be The Story of Cats next episode air date? Is The Story of Cats renewed or cancelled? Where to countdown The Story of Cats air dates? 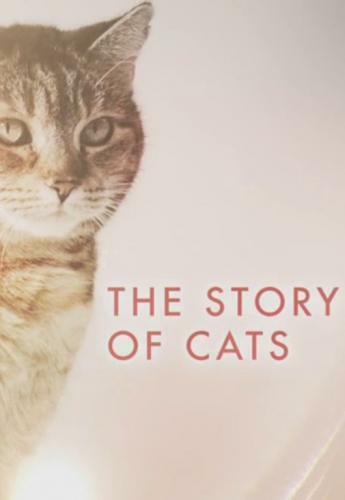 Is The Story of Cats worth watching? The Story of Cats tells the story of the most popular pet on earth – the cat.The series sets out to offer an eye-opening and entertaining insight into the relationship between big cats in the wild and our domestic pussycats and the feline species' journey from the jungles of South East Asia to the African savannah and ultimately into our homes. In the first episode and for the first time ever, the programme compares the humble moggy with their big cat cousins, gaining surprising insights into the entire cat family. In Africa, lion whisperer Kevin Richardson proves how similar domestic pets are to the fearsome big cats and why there's more to feline communication than meets the eye. In the thick jungles of South East Asia, the series discovers which sabre-tooth wild cat has given tabbies their gravity defying climbing skills and in Namibia, shows how a strange looking cat called a caracal has given them the ability to jump over three metres and catch birds in flight, inspiring the phrase "put the cat amongst the pigeons". To truly understand the world's most beloved purring pets, there needs to be an understanding of their wild relatives. In the second episode; Cute Response; tells the story of how wild predators became such popular pets. Kittens trigger an emotional reaction in us. Their baby-like features make us want to nurture them. Its part of the reason we brought cats into our homes. Viewers will discover how the animal's amazing senses and mouse-catching prowess brought man and cat together ten thousand years ago. And how domestic cats are still evolving and will in the future become less wild, and more mild. Cats are said to hate water, crave warmth and only eat meat. But in episode three, Super Cats, viewers are introduced to the wild cats that break all the feline rules. From jaguars with sub-aqua skills to tigers that can survive temperatures of minus forty, the programme reveals how cats have developed super powers to survive in the most unlikely landscapes. As well as the iconic big cats, in this final episode viewers get a glimpse into the lives of the most rare and strange cats of all – including a real-life Garfield recently discovered living high in the Himalayas. It's revealed how the cats' ability to adapt to extremes has made them some of the most successful predators on the planet. The Story of Cats next episode air date provides TVMaze for you. EpisoDate.com is your TV show guide to Countdown The Story of Cats Episode Air Dates and to stay in touch with The Story of Cats next episode Air Date and your others favorite TV Shows. Add the shows you like to a "Watchlist" and let the site take it from there.